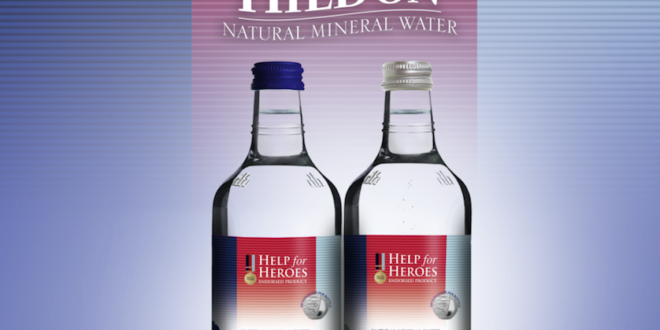 Help for Heroes, the service personnel and veteran charity, has secured a new partnership with Hildon Ltd to supply an endorsed range of bottled water. The line of both still and sparking bottled water will feature the Help for Heroes logo and will be available in 750ml and 500ml. A cut of 20 pence from the sale of each glass bottle retailing at £1.59, while 10 pence from every 99p bottle will be made to Help for Heroes. The water will be available from a wide range of retail outlets, including national off trade and sporting venues as well as online. James Burston, sales and marketing director at Hildon, said: “We are delighted to have the opportunity to join Help for Heroes in raising both awareness and funds for its essential work.